Wire transfers are one of the most expensive services from banks. A wire transfer from your bank is one of the quickest ways to send and receive money both within the United States and throughout the world. MyBankTracker compared fees for domestic and international wire transfers at the top U.S. banks to help you save when wiring money. Due to the extremely high speed of these transactions, wire transfer fees tend to be much greater than any other money transfer method. It also eliminates the possibility of scams that often involve the checks, which can take some time to clear. *Foreign outgoing fee is in USD, unless otherwise stated. According to MyBankTracker’s analysis, international wire transfer fees are becoming slightly more expensive — with Chase, Bank of America, and BB&T increasing their fees. At any given bank, incoming wire transfers tend to be considerably cheaper than for outgoing ones, while domestic wire transfer fees are significantly lower than that of international transfers. The highest wire transfer fee is a whopping $85 for each outgoing foreign wire transfer in U.S. dollars at Fifth Third Bank while the lowest fee for any type of incoming wire transaction is $13 at Santander. Typically it appears that the amount charged by a majority of banks for both domestic and foreign incoming wire transfers is about $15, although some banks like BMO Harris and Discover, don’t charge any fee on their end. Many banks like Citibank and Wells Fargo, will also waive the fee they charge for domestic and foreign transfers, if you have a qualifying account. Note that the fees shown in the table above are reflective of transfers made in person at a branch and outgoing transfers sent in U.S. dollars. This is noteworthy because the fee for foreign outgoing wire transfers sent in U.S. dollars is not the same as transferring money in foreign currency. Some banks — including Bank of America, Wells Fargo, Chase Bank and Capital One — will charge $5-$10 more if transfers are made in a different currency. In general, banks will charge you $5-$10 less for making a wire transfer online through the bank’s website rather than in person at a branch. In the case of Chase Bank, they charge $10 less for both domestic and foreign outgoing wire transfers made through Chase.com, while Citizen’s Bank charges a variation of prices for domestic incoming wires initiated through snail mail, phone, fax, or online. If you plan to send money on a regular basis, either in the U.S. or overseas, you can set up repetitive wire transfers, which will give you a $5 discount on each item transferred. For instance, Wells Fargo offers domestic outgoing wire transfers at $30, but if you set up the repetitive wire transfer, each transaction will cost you $25. 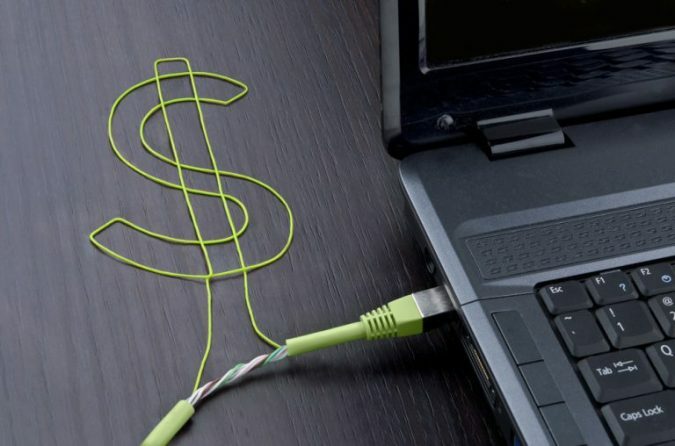 For a better deal on wire transfers, it is best to ask your banker for different options for wiring money. Be careful with conducting a wire transfer through the phone, it is likely to cost more than a typical wire transfer. A typical wire transfer can be completed in a branch with a banker, on the phone, or through online banking. Generally, a wire transfer can take just a few minutes to complete. But, be prepared for it to take up to 24 hours, especially if you’re wiring funds internationally. Not every single account at a bank is capable of sending and receiving wire transfers. Generally, a wire transfer is conducted through a checking account. It is also possible through a savings accounts and money market account if your bank allows it. Typically, wire transfers are not allowed through certificate of deposit (CD) accounts. Domestic and foreign wire transfers differ more than just in fees. A domestic wire transfer is a way to electronically transfer funds between two bank accounts or to transfer cash within the U.S. — while foreign wire transfers will move your money anywhere in the world. This is why foreign wire transfers tend to cost significantly more. Domestically, the cheapest way to wire money is pretty straightforward — it’s usually a flat rate regardless of the amount transferred. It is a bit more complicated when it comes to foreign wire transfers, also known as remittance transfers. This type of transfer is commonly used to send money to family members in foreign countries. Foreign wire transfers take many consumers by surprise when they find out that the recipients have received less money than originally sent. Currently, at the 10 largest U.S. retail banks, foreign wire transfers range from $40 to $65 per transfer. This amount depends on whether the transfer was conducted in-person or online, and sent in U.S. dollars or in foreign currency. In addition to the transfer fee, senders should be aware that foreign wire transfer fees also come with additional charges they must consider — including an exchange rate, taxes, and correspondent fees. The wire transfers will be made under the currency exchange rate set forth by the bank, which is likely to be higher than the actual exchange rate. As a result, the recipient gets less money than expected. This exchange rate difference is another way that banks make money from foreign wire transfers. Tip: To determine the best value, you should consider both the wire transfer fees and the exchange rate. The exchange rate can cut into the amount you are sending and depends on how strong the dollar is. To prevent this unfair practice and to make the process more transparent, the Consumer Financial Protection Bureau (CFPB) created this regulation, which took effect in February 2013. It ensures more clarity in how the exchange rate is handled and presented to customers in the U.S. by all financial institutions. Although the exact rate applied in the transaction will be unknown until the wire transfer is actually initiated, the consumer will be presented with useful information including the fees, exchange rate and net funds to be delivered, before completing the transaction. Many people turn to banks to wire transfer money, but depending on the type of transaction, other money transmission providers may be able to provide the same service at a better price — although there is no single method that is definitively cheaper than others. Money transmitters, for example, usually impose foreign transfer fees based on the recipient’s location, the amount transferred, and delivery time. That differs from banks and credit unions, which usually charge a flat fee. Popular money transmitters include Western Union and MoneyGram. The size of the transfer makes a difference. Because the domestic wire transfer fees from banks tend to be a fixed amount, it may be better to use banks for large domestic wire transfers. Money transmitters will charge a fee that is a percentage of the transferred amount — so a larger transfer means a higher fee. Tip: Using a money transmitter can be especially advantageous for transferring amounts that are less than $1,000. Going to a bank is a better idea when you are transferring larger sums of money, usually between $1,000 to $5,000, because there’s just a flat fee to worry about. Many people are aware of the fact that wire transfer fees are actually cheaper at credit unions than at banks — a lot cheaper. In fact, many credit unions don’t charge a fee at all for incoming wire transfers — both domestic and foreign. According to an analysis by MyBankTracker, the average fee for an incoming domestic wire at a credit union was $0.50. Compare that to the average $15 fee you would have to pay at a big name bank, such as TD Bank or PNC. Outgoing domestic wire transfers cost an average of $22 at credit unions, compared to $29 at banks. The average fee for outgoing foreign wire transfers at the top 10 credit unions was $41, versus the average of $49 at the top banks. The average cost of an incoming foreign wire transfer at credit unions were also $.50 (just like for an incoming domestic transfer), compared to $16 at banks. Essentially, all of the wire transfer methods will provide you with the same service — the deciding factor here will be accessibility and the cost. If you’re someone who needs to make wire transfers regularly, it might not be a bad idea to consider switching to a credit union. Wire transfers are commonly used by scammers to collect money from unsuspecting victims. These transfers are capable of moving a lot of money in just minutes. Furthermore, once the money is wired and collected — especially internationally — it can often be very difficult to retrieve. The typical case involves a false promise of a large payout or “prize.” In order to receive this large sum of money, you’ll first have to wire money to help pay for “processing fees” or some other kind of upfront cost. Another common wire transfer scam will target people who are selling goods. Prospective buyers will offer to send a check for an amount that is much larger than that of the cost of the sold item. The fake buyers will then request that you go ahead and deposit the check anyway. You will be asked to wire transfer the difference minus any wire transfer fees. Later, you’ll find that the check bounced. By then, you might have shipped the item and made the wire transfer. Because of how common these scams are, don’t be surprised if your banker asks several questions about the purpose of your wire transfer. He or she may help prevent you and others from becoming victims. What is your cheap way of sending money to someone? How does it compare to bank wire transfers? Share your answers by leaving a comment below.